Today Victoria and Daniel were in Bogota, Colombia. They began their day by participating in a round table discussion with Swedish and Colombian sustainable businesses. Next up on the schedule was meeting with the Colombian President Juan Manuel Santos Calderón. After having lunch with the Minister of Foreign Affairs, Victoria and Daniel visited the initiative Ruta Motor which trains vulnerable young people for jobs in the automobile industry. They try to equip young people who are at risk of being brought into criminal gangs. 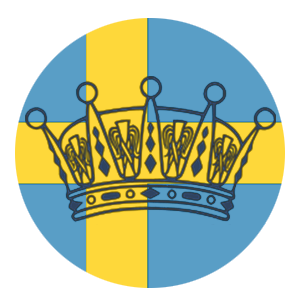 Later this evening, the Crown Princess Couple will attend a diplomatic reception at the Swedish Residence celebrating 140 years of diplomatic relationship between the two countries. If Victoria follows the pattern she has set on the rest of the trip, I expect there to be an outfit change and I will post that when we see photos. While I have no photos to show you, I can tell you what she wore. Victoria repeated her outfit from Prince Nicolas christening. She wore the same Seraphine dress and coat and what appear to be the same heels as well. She carried a light purple bag which she first used earlier this year in Portugal. She wore a new necklace as well which comes from the SS16 collection from Sophie by Sophie. Her earrings she has had for at least 7 years but they have never been ID'd. Victoria later changed into a new maternity dress from ASOS for the reception. She also carried an Alexander McQueen clutch that she first debuted when pregnant with Estelle. She wore gold pumps but because I have not been able to see any great photos, I can't tell you where they come from, but they may be Gianvito Rossi.